As we age, we often develop pain in our joints and spine. If you’ve ever suffered from chronic pain, you’ll know that getting relief can become an all encompassing need. You celebrate your good days but there’s always the shadow of what tomorrow may bring hanging over your head. A further complication is lack of quality sleep. It’s hard to get the rest your body needs when you’re in so much pain you can’t sleep. Medical professionals are no longer legally able to prescribe many of the pills that might have been the only thing that worked for you in the past. I was personally released from the hospital after surgery, where they had been pumping me full of major painkillers ’round the clock, with nothing more than 2 days worth of narcotics. It was pure hell. 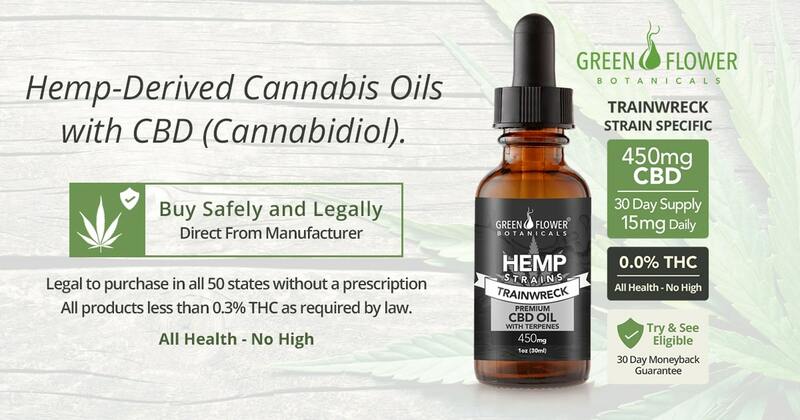 While most of the states in the USA haven’t legalized marijuna for common use, it is legal in every state to buy and use CBD oil as long as the oil doesn’t contain more than .03% THC (the part that gets you “high”). CBD has amazing properties and there are loads of companies and websites out there saying they’re the best. I haven’t tried them all – but I’ve tried a lot. I’ve spent hundreds of dollars trying tinctures, gummies, and vape products looking for some relief to my joint pain. I finally found one that works every single time I use it. It’s by a company located in central Florida named Green Flower Botanicals. The first product of theirs I ever used was a vape pen with the strain “Trainwreck” in it. I was, quite frankly, astounded that within 10 minutes the pain in my knees evaporated. I could actually feel my knees relaxing as the inflammation drained away. I don’t often recommend products, but after having my wife and friends try this single vape pen and all of them report lessening of pain in their joints, I’m a believer in the power of this wonderful product.